EARN 5¢ off per gallon for every $50 you spend on qualifying purchases using your Homeland One Rewards Card. REDEEM Your Homeland Fuel Rewards at any Homeland fuel center and participating fuel stations. The Fuel Rewards® program is part of the Fuel Rewards Network. SHOP: Shop at Homeland using your Homeland One Rewards Card. EARN: Earn 5c/gal in Fuel Rewards® savings for every $50 you spend on qualifying purchases at Homeland. FUEL: Insert your Homeland One Rewards Card at the pump before you pay. If paying inside, see the cashier first. SAVE: Watch your fuel price drop. 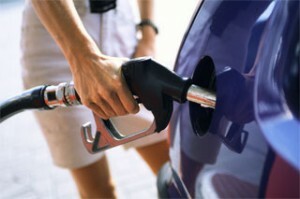 Redeem up to 20 gallons of fuel per purchase, per vehicle. What purchases are excluded from the Reward's Card Program? Offer excludes purchases of fuel, postage stamps, lottery tickets, car washes, alcoholic beverages, tobacco, gift cards, money orders, Western Union, tickets, returned check service fees and items prohibited by law. Points are calculated after all discounts, coupons, and excluded items have been subtracted from the order. Points are based on the pre-tax total of your purchase. You can earn Homeland Fuel Rewards® savings at almost any Homeland location. Fuel Rewards can also be redeemed at participating Shell® Stations, Stripes Stores, and many other fuel locations. Find a redemption site near you! Earn 10¢/gal for every $50 you spend when you dine at more than 10,000 participating restaurant, bar and club locations. Access nearly 700 brand name online merchants offering 5¢ gal for every $50 you spend. Some online merchants may offer 2x, 5x, 10x rewards or more - so you can multiply your savings! All Fuel Rewards® savings earned through the Homeland Fuel Rewards® program and Fuel Rewards® savings earned through other FRN programs such as the eCoupons, Dining, Online Mall and Shell® Fuel Rewards® programs are combined in your FRN Account for bigger savings at the pump. *Restrictions Apply. The Homeland Fuel Rewards® program and the eCoupons, Dining, Online Mall and Shell® Fuel Rewards® programs are all part of the Fuel Rewards Network, which is administered by Excentus Corporation. Expiration terms for rewards earned through each program vary. Redeem Fuel Rewards® savings at participating Shell and other select fuel stations. Limit 20 gallons of fuel per purchase, per vehicle. Some redemption restrictions may apply. Fuel Rewards® savings redemption restrictions can be found in the Fuel Rewards Network program Terms and Conditions. See fuelrewards.com for Fuel Rewards Network program details and Terms and Conditions. All trademarks are property of their respective owners. **Fuel Rewards® savings earned through the Shell® Fuel Rewards® program can only be earned and redeemed at participating Shell stations using the Fuel Rewards Network Card. Request a Fuel Rewards Network Card online or pick one up at any participating Shell station and link it your FRN Account. Lower your fuel bill by shopping at Homeland. Ten of our Homeland locations also offer a convenient fuel center in the parking lot so you can fill your fuel tank at the same place you fill your pantry. We sell only top quality fuel to keep your engine running at peak performance. * Cash is accepted as payment during fuel center/convenience store hours. Due to city ordinances, fuel can only be dispensed during regular business hours at 1251 Alameda St, 1724 W Lindsey R. & 2600 W Robinson in Norman.